We support a variety of groups and ministries, including adult Bible study, Women's Fellowship, confirmation classes, camping opportunities and regional and statewide UCC activities. Join us for Sunday worship at 8 a.m. There will be no Easter service at the Glyndon Congregational UCC on April 21, 2019. 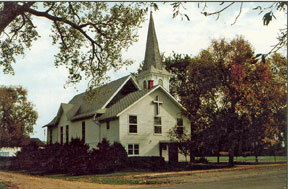 We are invited to join the Glyndon Lutheran Church for Easter services at 8 and 10 a.m. 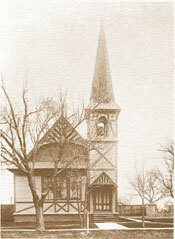 The Glyndon Congregational United Church of Christ, founded in 1872, offered the first public religious services in Clay County, Minnesota.